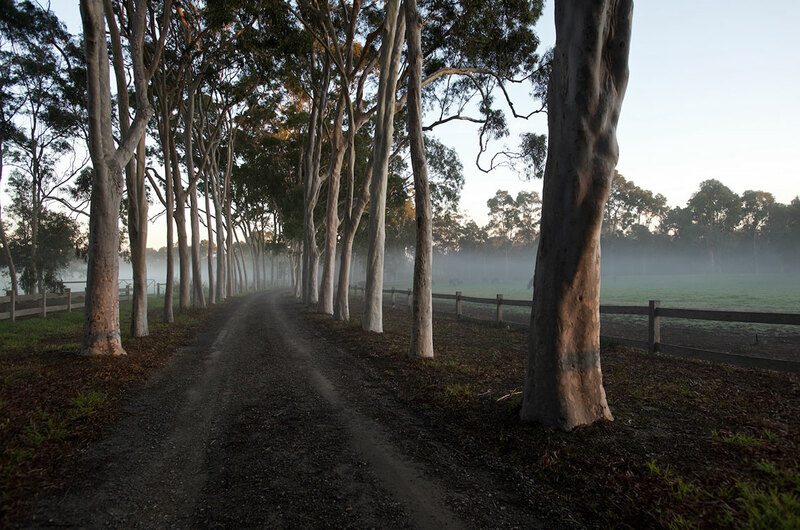 The star attraction of Cruden Farm is the garden and the iconic image and star component is the main driveway, planted with over 100 lemon scented gum trees. In truth, there are many gardens to enjoy – each one different in its style, plantings and mood. Each area was carefully planned by Dame Elisabeth and Michael Morrison, with Michael to this day still implementing her long term plans for various areas across the garden. Cruden Farm changes dramatically during the seasons, so its worth returning to Cruden Farm to appreciate the different vistas over a 12 month period. The Picking Garden truly reflects the changing seasons at Cruden Farm and during Spring and Summer is alive with thousands of blooms and much colour. Where food was once grown for the family, as the children left home, Dame Elisabeth replaced fruit and vegetables with more and more blooms. The Walled Garden originally designed by Edna Walling, has undergone changes since it was first planted out in the early 1930’s. There are other special areas to explore too including the ‘outer garden’ and the plantation areas.